Is the universe fine-tuned, designed as it were, for our existence? One of the key doctrines of the Christian faith is also the opening line of the Apostles Creed. “I believe in God the Father Almighty, Maker of heaven and earth.” Or the Nicene Creed: “We believe in one God, the Father Almighty, Maker of heaven and earth, and of all things visible and invisible.” God is the creator of everything that exists. Even time – defined by the material universe – is part of creation. Does the universe contain evidence of design, evidence of the Creator? Greg Cootsona (Mere Science and Christian Faith) uses fine-tuning and the big bang to explore the relationship between science and Christian faith. Most importantly: should we expect science to prove the existence of God? 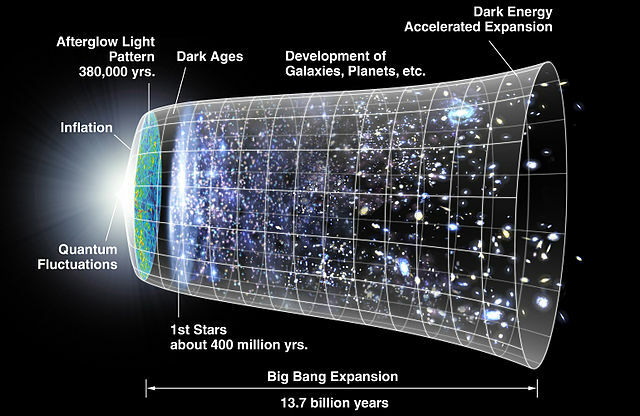 Since events before the Big Bang have no observational consequences, one may as well cut them out of the theory, and say that time began at the Big Bang. Events before the Big Bang, are simply not defined, because there’s no way one could measure what happened at them. … the Big Bang is a beginning that is required by the dynamical laws that govern the universe. 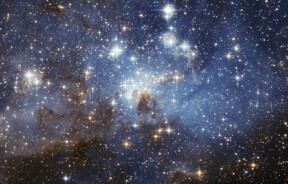 It is therefore intrinsic to the universe, and is not imposed on it from outside. Stephen Hawking made substantial contributions to our understanding of the universe. His book A Brief History of Time is one I thoroughly enjoyed when it first came out and still recommend. The Big Bang is consistent with the Christian doctrine of creation – time and space have a beginning. The beginning was long ago – 13.8 billion years – but it was a real beginning. Greg warns, however, that we shouldn’t make too much of this agreement. First, while it is clear that the universe is ancient and changing with time, it is possible that some future revision in our understanding of cosmology will point to a universe without a beginning. We could exist in one cycle of a periodic process. Second, a beginning is not in and of itself proof for a creator. If there is no God or creator then the beginning is simply a consequence of the laws of physics intrinsic to the universe, as Stephen Hawking believed. The big bang may bolster the faith of the faithful, but it is not likely to convince a skeptic of the truth of the Christian story. 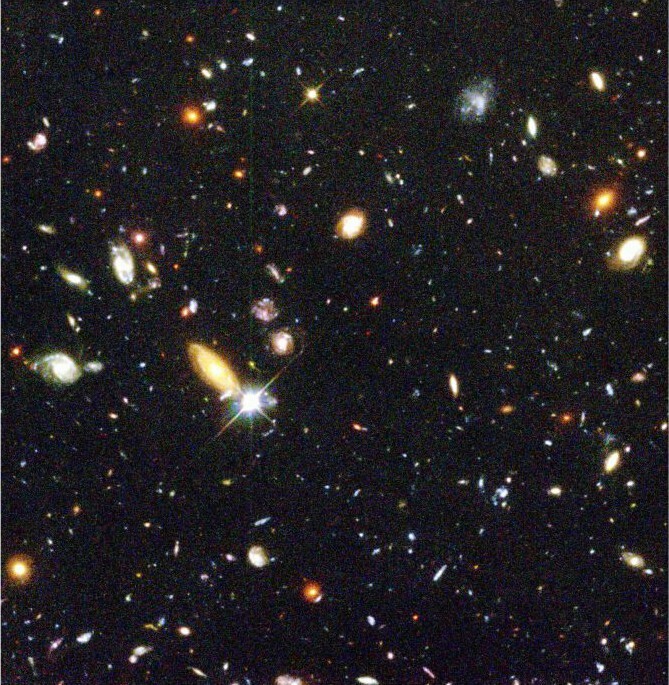 The fine-tuned Universe is the proposition that the conditions that allow life in the Universe can occur only when certain universal dimensionless physical constants lie within a very narrow range of values, so that if any of several fundamental constants were only slightly different, the Universe would be unlikely to be conducive to the establishment and development of matter, astronomical structures, elemental diversity, or life as it is understood. The bottom line is that we should be careful and open-handed in our integration of science and Christian faith. Although we affirm that God as creator is revealed in his creation, we need to be cautious in our conclusions. Greg provides four guidelines that I paraphrase and interpret from my perspective here. Scripture and nature give complementary perspectives on the nature of God. Greg notes that they are “not identical.” We shouldn’t be looking at nature to reveal much of the personal, relational nature of God or to Scripture to inform our scientific study of nature. Science is a changing discipline. Don’t make too much of an apparent agreement (e.g. the big bang) but don’t ignore the agreements and consistencies either. Keep up with developments so you don’t base your arguments on disputed ideas or conclusions that have been re-evaluated and revised in light of new evidence. Don’t jump on every new band wagon in science. Let the field mature before worrying much about it. What do you see as the relationship between science and Christian faith? What does it mean to integrate these two perspectives? If you wish to contact me directly you may do so at rjs4mail[at]att.net. You may also comment on A Day Without a Yesterday at Jesus Creed. This entry was posted in Science and Faith and tagged Greg Cootsona. Bookmark the permalink. 3. Therefore, the Universe has a cause of its existence. Since we’re talking about the Universe – all of the time, matter and space that exists – obviously, then, its cause cannot be associated with time, matter or space. It must be outside this realm. We call this cause God.